I love diving! Some of the fondest memories of my adult life are from moments in or around water. Since my diving adventure began, I’ve been a total of 59 hours and 38 minutes underwater breeding compressed air from a bottle strapped to my back and did it in 10 different countries. Also, out of all the dives, 18% were ship wreck exploring expeditions, 48% reef reconnaissance missions and 34% were either, training, archeology or cenote dives. How do I know, because I keep a dive log! The funny thing is that most divers see the log keeping activity as a burden. But in reality it is part of the adventure! A well maintained diving log is not only about numbers, it is a memories scrapbook that narrates the story of fantastic dive buddies (Vlad, Denise, Romina, Tino and Assaf I am looking at you!) and great underwater species sightings (eels, turtles, dolphins, even the ocasional shark!). 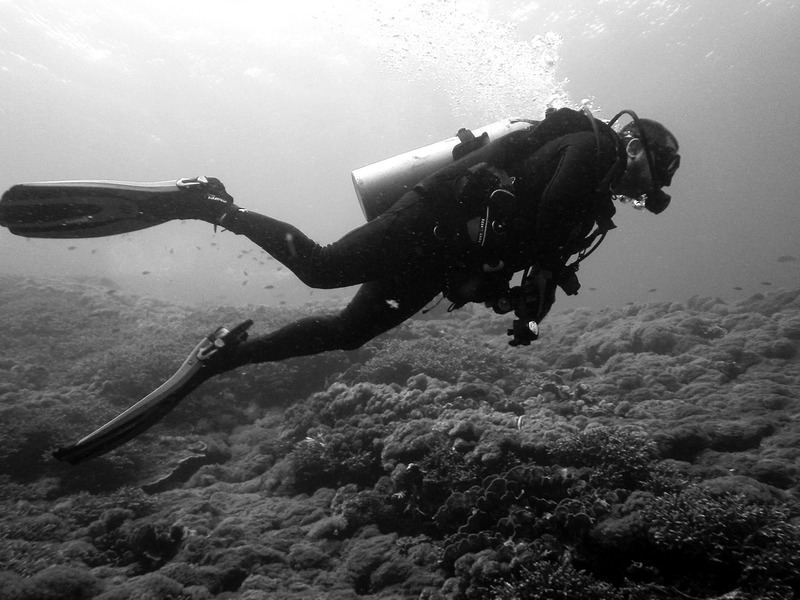 It is also a storyteller about how one becomes a better diver. My log shows all the things done right during the dives but also recounts mistakes to be reviewed and corrected in future dives. So, as you write your own diving adventure (you have not started yet? what are you waiting for?) make sure you keep an accurate and detailed diving log. Use the format or media that best suits you. In my case, I keep both paper (otherwise how will I brag about all the cool stamps from diving shops I’ve collected?) and electronic (www.diveboard.com is my choice because is cool and free) versions. And be sure to share your log!!! after all, we all like to brag a little bit about our diving feats. Don’t we? I admit it, I love diving gear! I like the smell of neoprene and yes, I have a collection of cool diving accessories that I am not even sure I will ever use. I am a man! And we men have a genetically coded attraction to cool gear. One of the attractive features of diving (certainly not the only one) is that it is a “gear intensive” sport. 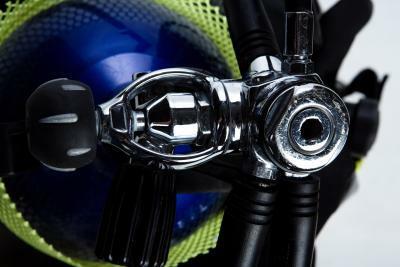 After all, the difference with many other sports when it comes to equipment is that diving gear is not only is super cool, but it is also a life supporting system. Then, there is the challenge. Water is an unwelcoming environment for humans, an before you can explore its marvels you have to prove yourself worthy of it. You have to get certified, then learn the ropes by adding experience and more training one step at the time. You have to always be attentive and humble enough to learn from every experience, to ask questions and let more experienced divers show you the road to a safer and more satisfying diving adventure. And for Pete’s sake, keep and updated diving log! It will prove and invaluable source of wisdom and good memories as you progress in your diving journey. Discovering new places is also part of the adventure. 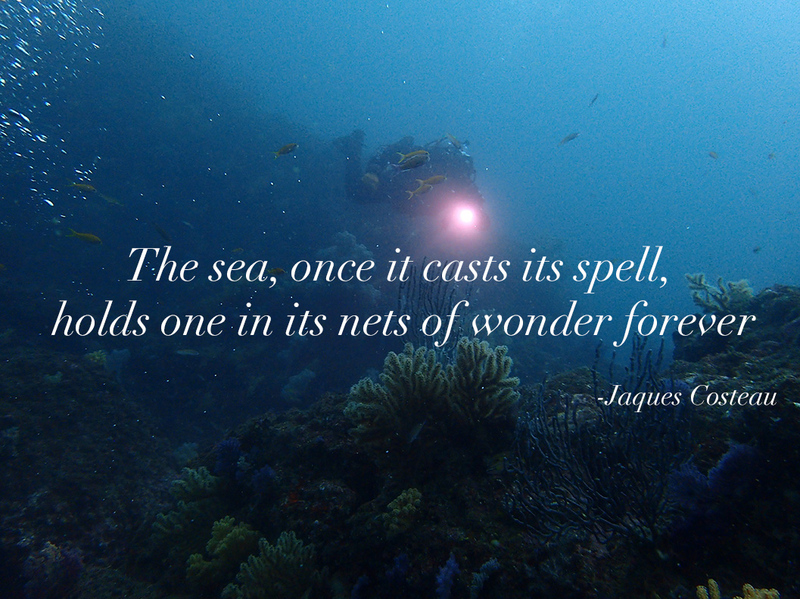 More often than not, diving will take you to the most amazing places in the world. Whether it is your local diving spot 30 minutes away from home or across the world, there is beauty in every place if you know how to look for it. Keep your eyes and mind open, try new things, taste new foods and always ask for the local drink. It is all part of the adventure. But the real magic, the things that keep me coming back for more happen underwater. Once you take the plunge (in this case quite literally) and this alien World unveils those marvelous things that only the ones brave enough to become divers can see is when it hits me, every time: Man, I am underwater, and breathing! How cool is that! The feeling of weightlessness while wonderful creatures swim around you, the sense of harmony and peace that gliding through the water and the impression of flying gives always awes me. The best diving memories I have are those of just being there…. Enjoying the beautiful natural environment full adventure, colors, discovery and friends some old, some new. Being together with other people who enjoy the underwater adventure, that like to brag about their diving exploits (yes, we all do it, come on admit it) and respect the environment adds a whole new dimension to this sport we call diving. And that is why you always see me planning my next diving adventure, whether it will be in 2 weeks or 6 months. Because I am always longing for that time when I get to pack my heavy, heavy diving gear and drag it around for the next adventure. The ability to communicate is one of the main traits of the “dominant species” in this planet (whoever coined that term I am sure he did not dive!). Communicating with other people, is very important, but doing it underwater is crucial. Unless you work diving missions for National Geographic or are filthy rich (and we all hate you for that… in a nice way of course!) and you have special gear that allows the use natural language while diving, you are limited to the use of hand signals to ensure you can efficiently transmit messages to your buddy and other divers around. I am not going to review all the signals divers have at their disposal to transmit messages while underwater. For that, you can click here. However, I want to point out that it never hurts to go over a quick signal check to make sure that you and your buddy will be able to communicate while underwater. Specially if it is the first time you dive with that person. Even if you have been diving with your buddy for some time, I have noticed that when more experienced divers do it, others in the group look at them and do it too. So, unknowingly you might be helping other divers. I hope this little contribution encourages to perform a quick signal check next time you dive, and you never know, maybe by doing it, you are just becoming a safer diver. One of the reasons people get into diving is because diving is a gear intensive activity. We love our gear!!! We talk about it, compare it and show it off (yes, we do, don’t give that innocent look). 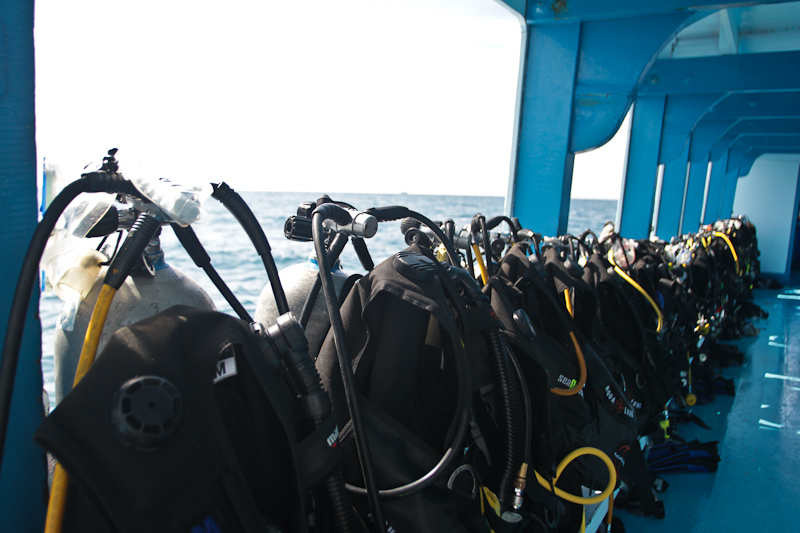 That is why when getting ready for a dive, one of the most important activities is the preparation of our gear. I don’t think there is only one correct way of connecting and testing everything before we get all wet, every diver has his/her own methodology. but the important thing is to have one and follow it every time to make sure that all the pieces have come together properly all the time. You would not believe how many times I had to stop some divers when they were about to jump into the water to connect the low pressure hose and (obviously) open the tank. I want to share the procedure I use (ASSICOTT), hope it helps you. Also, if you have a question or suggestion to improve it (diving is an ever learning sport), please share it in the comments section of the post. I will be much obliged. Zippers – Make sure all your zippers (Wet suit, boots, etc) are closed, all the way!!! And remember, if you have a question or don’t know if something is properly assembled, ASK!!!! I bet you any experienced diver will be more than happy to show and teach you. Consider that NO ONE knows everything about diving. A final note, once you are ready, be a good buddy, inspect your buddy’s gear and have yours inspected by your buddy. Everyone gets their kicks out of different things, in my case is adventure, specially when in comes in the form and shape of underwater exploration going to places where few have gone to admire the beauty of mother nature. Yes, I love diving, and being a far from the coast dweller I take every opportunity I have (and can afford) to pack up my gear and head down to the water. But I like a very specific kind of diving… the safe one! That is the kind of diving that you enjoy submerging yourself in adventure and discovery knowing that you and your diving team will always make the trip back to the surface without any incident. As divers, we all know that despite all the planning, sometimes an unexpected situation might suddenly arise and for that you will have to be prepared, and the more prepared, the better. That is why sometime ago I decided to embark myself in a journey to become a safer and more proficient diver… a rescue diver. Becoming a rescue diver is a two step process, first, you have to complete the EFR (Emergency First Responder) certification and then complete the rescue diver training. Now, if you decide never to become a rescue diver (or a diver for that matter) that is perfectly fine, but please take this piece of advice, complete the EFR training. The skills that you learn during this course are useful both in water and on land, in the office or at home, with the kids or with grown-ups. Honestly, after completing this training I found myself wondering why I didn’t do it before, specially being father to two wonderful girls. What is so crucial to learn during this program you wonder? It is basic first aid skills, including CPR and automatic defibrillator (that is the little device you find in some public places that can help to re-start a victim’s hearth. Talk sbout a life saver!) procedures. it also teaches how to manage emergencies, tend to cuts, burns and other potential ailments result of illness or accidents. I think we can compare these skills to your insurance policy, something you want to have but never use. However should the need to use it appear, you’ll be very glad that you got it. If after completing the EFR training you decide to go on, then you will have to get in touch with you local diving shop and go thought the rescue diver training (you have to have an Advanced Open Water Diver certification before applying) and then is when the real fun begins! This course is an scenario based program, where you will develop skills to manage a number of potential emergencies on the surface and underwater. These scenarios will cover situations from panic management to searching for and rescuing an uncouncious diver underwater. If you like an adrenaline rush, trust me when I tell you that not many things compare to the exhilaration of successfully completing this simulated rescue! Now, my personal take after successfully completing the program is that not only you will become a more proficient diver, but also a more self-confident one and probably most importantly a much more safer diver. I am not sure that it was part of the program, but my instructor insisted, insisted, and insisted (thank you Reyna) on being aware not only of my own (and my buddy’s) safety but also the entire group’s. I was shown tips and techniques to observe, detect and respectfully point out potentially unsafe situations. After all, the best diving accident is the one that never happens! Now, I could not finish this little contribution without thanking my instructor Reyna, the folks at Dive Encounters and the people that patiently worked as victims and safety divers during the excersices and provided valuable feedback on my performance to help me improve. I know that the rescue diver journey has only begun and there are many, many skills I have to perfect and some others I will have to learn, but I have taken the first few steps and I feel really proud of that.